HomeWhy Church? Oh, Yeah! That’s Why! Why Church? Oh, Yeah! That’s Why! A few days ago I asked the question, “Why church?” The question was specifically asked in an effort to think about the purpose of our weekly gatherings. Several folks gave their opinions on this question and I really appreciate the insights. Interestingly, there was a common theme among those responses: The worst part of church is the people who sit in the pews. But one of the best parts of church can actually be the people who sit in the pews. When we are at our worst, we repel those who seek acceptance and love. When we are at our best, we can love one another into the presence of God. Earlier this week I attended a service at my church that truly challenged my tainted view of the church. On a cold Monday night, more than 1000 people came together to do two important things: They sang and they prayed. There was no other agenda. There was no sermon. There was no offering. There was no drama, video or skit. In the 90 minutes of this service, people of every shape, size, religious background and spiritual flavor huddled around the auditorium to pray for others. They prayed for healing. They prayed for family. They prayed for strength. But most of all, they did did church right. 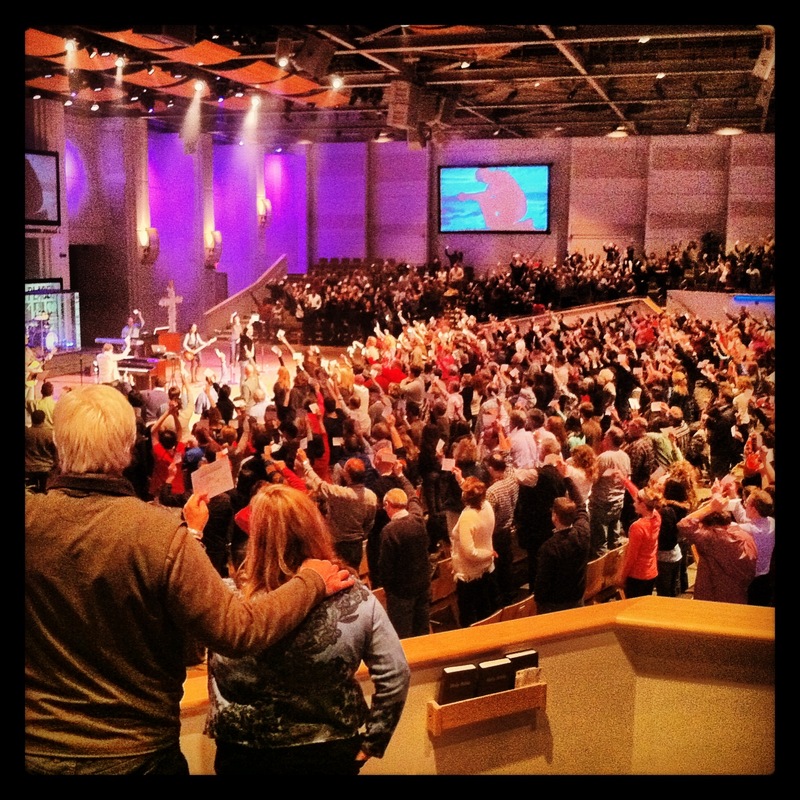 And when I left that service, I was reminded that church is about communion with others in the presence of God. Church is about serving those in need. Church is about finding direction and following the path. Sure, people can ruin the dream. But that can be said for anything; whether the office, the playground or the sanctuary. But church doesn’t have to be about people. In fact, it should never be about the people. And that’s the real answer to my original question, isn’t it?